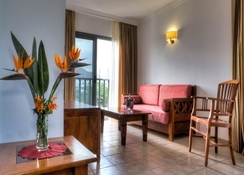 Las Marismas de Corralejo Aparthotel is located near the resort centre of Corralejo, a town in northern Fuerteventura. The hotel is a few minutes’ walk from the main street. The beautiful sandy beaches of Fuerteventura are just 500 meters from the apartment. The apartments feature two large freshwater swimming pool, one of them is heated during winters. Plenty of sun beds and parasols are provided for a complete relaxation. Children feel welcomed here as the apartment has a children’s pool, playground, and a mini club. This apartment is officially rated as a 3-star hotel, but due to its luxurious facilities and outstanding services, it is worth a 4-star rating. 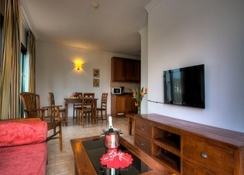 The apartments are a perfect destination for families and couples to spend their summer vacation. It offers well-furnished apartments with a balcony, private bathroom, and all essential room amenities. 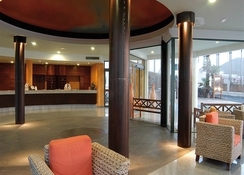 The hotel is located near the resort centre of Corralejo, a town in northern Fuerteventura. The beach is about 500 meters from the hotel. The Fuerteventura Airport is about 40 km from the hotel. The resort centre which has shopping markets is around 1 km from this hotel. 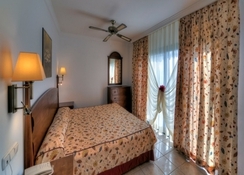 The hotel offers spacious and brightly decorated one bedroom apartments. Each apartment has one bedroom and a living area. Apartments have big terraces which can be accessed either by bedroom or the living area. Each apartment has a large bathroom having tub/shower and hairdryer. A fully loaded kitchen with a fridge, 2-ring hob, coffee maker, kettle, roaster, and microwave is available. Room facilities include 32” flat screen TV, free Wi-Fi, alarm clock, ceiling fan, safe (with charge), direct access telephone, extra beds (on request), and baby cot (on request). Room are disable-friendly having easy access for wheelchairs. 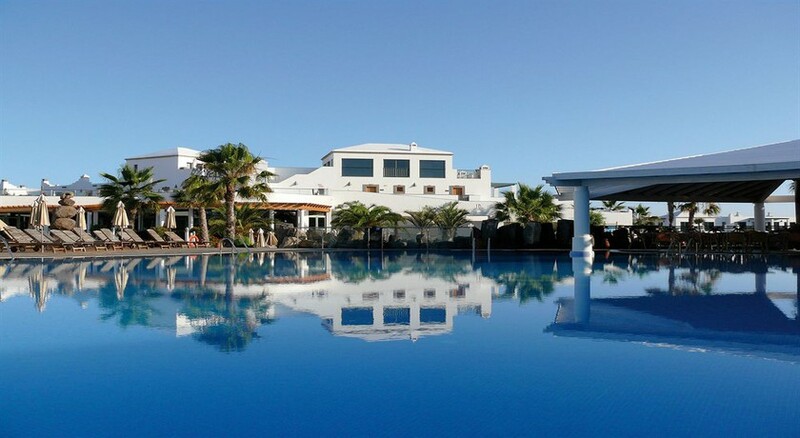 Las Marismas de Corralejo Aparthotel offers wonderful dining facilities. The large buffet restaurant serves buffet breakfast, lunch, and dinner. The pool-side restaurant serves a wide selection of Canarias and international dishes. The Bar Las Marismas is a great place to enjoy refreshing beverages and snacks. The Bar Salon also offers a variety of beverages along with live music and entertainment suited for all age groups. The all-inclusive packages includes breakfast, lunch, dinner, snacks, and a variety of alcoholic and non-alcoholic beverages such as whiskey, brandy, beer, soft drinks, juices, coffee, and sherry. The hotel features two large freshwater swimming pools, one of which is heated during the winters. The other pool has wonderful waterfalls with decorative stones and sun loungers and parasols. The depth of the children’s pool is 1.4 meter. 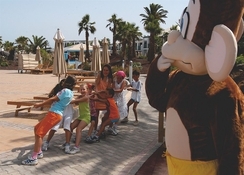 Children can also have fun in the playground and the mini club where exciting activities are held 6 days a week. Sports and leisure activities include tennis, basketball, beach volleyball, squash courts, and a mini golf course. The on-site gym offers complete fitness programs 6 times a week. Various entertainment programs such as live music and dance shows are held in the evening. Stayed in a self catering apartment, plenty of room and clean apart from the ant like bugs that were all over everything?. Room was cleaned on a regular basis and all the staff were pleasant even leaving me a bottle of wine for my birthday. Just five minutes walk to shops and lovely restaurants. We really enjoyed our 7 day stay. Only thing that stopped me from giving it 5 stars, was the room was not ready on our arrival and with two tired children (6 & 1 year old), we had to wait, but aside from that, couldn't really fault the hotel. We'd happily stay there again.